Thank you for the ups and downs. By the time this gets published, it will be the week that my teen years are over and I turn 20 years old. It's already crazy to think that it was only 7 years ago that I turned 13 and I felt like I was on top of the world. But of course, time brings about changes. So before I say goodbye to being a teen and saying that I beat teen pregnancy, I want to reflect on the time I had as a teen. Of course, I turned 13 before middle school started. So I was one of the older people in my grade with a birthday on August 8th. I soon was able to accept that. I never thought I would talk about middle school again as it was a very embarrassing time, but it's pretty much necessary to talk about it in something like this. I was still trying to figure out who I was, and the two years of middle school are something that I'm glad I can put in the past. The crushes I had, the ankle and knee injuries in eighth grade, the struggles I had in various classes. Then high school came around and I knew who I was. High school was where I learned that I am a band geek. I loved playing the flute and I loved learning new music. It was then where I learned that I wanted to be a special education major thanks to challenger baseball. I was able to graduate with a great group of friends who I know will stick with me as I will with them. Of course, high school had its downs. I lost both my nana and pop, there were some classes I struggled with, and of course friend drama. But still was able to leave high school on a high note. My first year of college was similar, but a tad bit different. I was away from home for months at the age of 19, I was on my own without my parents. When I turn 20, I know that I will of course still be calling my mom to ask her about various questions like I did last year. But it's something that comes with growing up and being an adult. While I end this, being my last article as a teen, I welcome my roaring twenties with open arms. But I will never forget my time as a teen. There is a seemingly new trend of "If College Majors Were ___" circulating on Odyssey. I must admit, they're all pretty accurate and fun to read. So find your major on this list and share with your friends to let them know what flower you are based on your college major! 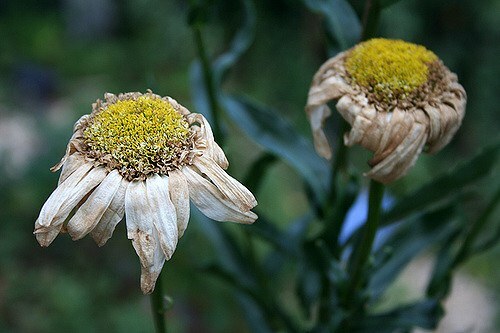 All the majors - a dead flower. Let's be honest, as college students we're all dead on the inside.